Disneyland discounts are different than the type of offers you will see for Walt Disney World (Special codes, etc.) However, they do offer some great Package deals and Special promotions. 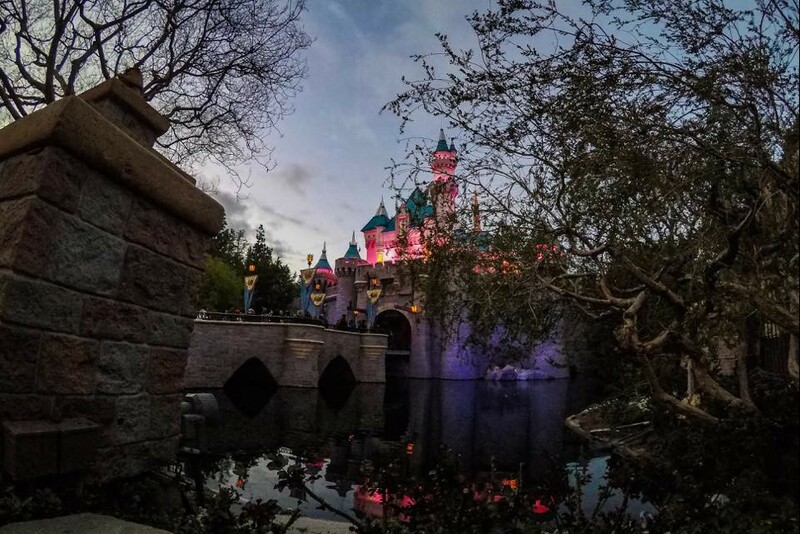 Discounts and special offers at Disneyland are commonly offered during value season but you may find discounts or special offers during the regular and peak season depending on projected park attendance. Specials like 5 Nights for the price of 3, Adults play for the price of Kids (Kids price on Park Hopper Tickets), Resort Gift Cards, 4th Night Free, etc. tend to resurface each year. You can also find discounts for ‘Kids Fly Free’ usually through Alaska or United Airlines. Be careful of this discount since most require adults purchase a full fare ticket to qualify. Check directly with the airlines before you book this option since it may be less expensive to book 2-coach or discounted fare tickets. Special priced packages such as the ‘Southern California Package’ are a great value if you are looking to combine a stay in Disneyland followed by a stay at another Southern California location. Disney negotiates very aggressive rates with partner hotels. This ensures that you won’t get a lower price booking the package components separately. The key to getting a great Disneyland discount or special offer is to book early and travel off-season. If that’s not possible, Disneyland offers packages at value ‘Good Neighbor Hotels’. These are significantly less than a package at a Disneyland Resort Hotel yet it includes the same package components. If you have a large family, a Good Neighbor Hotel Suite is usually more cost effective than booking two/three rooms at a standard hotel. Your Family Can Enjoy Great Rates at a Good Neighbor Hotel in 2019! 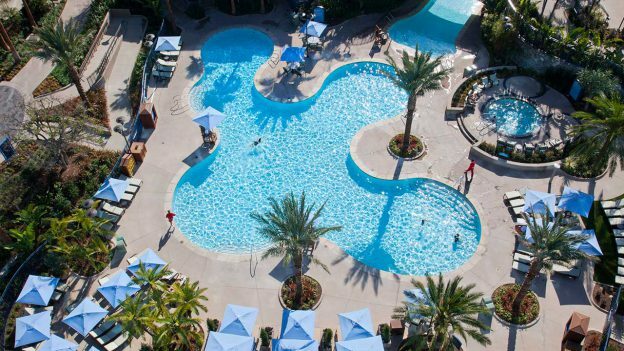 Enjoy a kid-size Disneyland vacation at a nearby Good Neighbor Hotel for as low as $973! 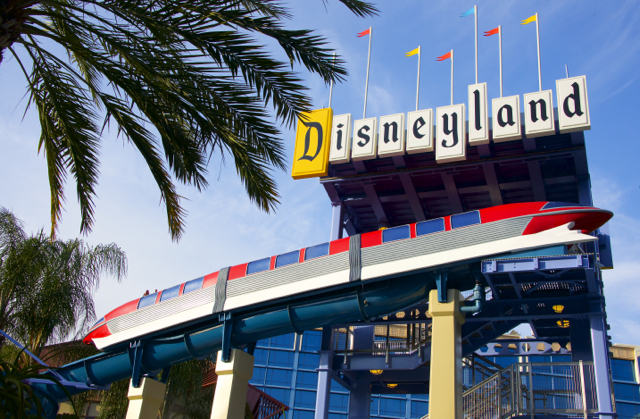 Pricing is based on a 2-night/2-day stay at the Holiday Inn Anaheim Resort Area hotel with 2-day 2-park Disneyland Resort tickets for a family of three (2 adults, one child 3-9). Dates at this rate include 04/28/19-05/18/19, 09/02/19-09/18/19, and 11/03/19-11/22/19. This pricing is subject to availability, room type, hotel, and travel dates. The number of rooms at this pricing may be limited. Tickets are valid for one theme park per day and must be used within 14 days of first use. Blockout dates and other restrictions may apply. Not vaild with any other discounts or promotions. Save up to 25% This Spring! Visit the Disneyland Resort in this Spring and save up to 25% on a room at one of the beautiful Disneyland Resort Hotels! This offer is good most Sunday through Thursday nights from 04/14/19 to 05/23/19. At the Grand Californian Hotel & Spa, save up to 20% on Standard Rooms or 25% on Premium Rooms from 04/14/19 to 04/25/19 OR save up to 15% on Standard Rooms or 20% on Premium Rooms from 04/28/19 to 05/23/19; at the Disneyland Hotel, save up to 20% on Standard Rooms or 25% on Premium rooms from 04/14/19 to 04/25/19 OR save up to 15% on Standard Rooms or 20% on Premium rooms from 04/28/19 to 05/23/19; and at Disney's Paradise Pier Hotel, save up to 10% on Premium Rooms. This special offer must be booked by 05/20/19, with travel completed by 05/24/19. Savings on Premium Rooms are available on Premium, Deluxe, and Woods/Garden/Courtyard rooms; select Concierge rooms; and Paradise, Artisan, Junior and Regal suites. Subject to restrictions and change without notice. Another discount option that can be added to your package is the ‘Southern California CityPASS’. If your plans include visiting multiple California Attractions in addition to Disneyland, this may be the option for you. The ‘Southern California CityPASS’ gives you to package your Disneyland Resort tickets together with other Southern California attractions, such as Universal Studios Hollywood, SeaWorld San Diego, and LEGOLAND California Resort. Since you only need to stay at a Disneyland Resort or Good Neighbor Hotel a minimum of 2 days with a package, this is a good option if you want to stay at Disneyland, enjoy the Parks, then check-out and stay at a San Diego hotel to use the San Diego portion of your tickets. This is also a great ticket to add on to the Southern California Magic with San Diego Package. Click here for a no obligation vacation quote. AAA – Discounts are offered for room only reservations with a valid AAA membership. Disney does require your AAA membership number to book these discounts. These discounts are limited so, please book early. AAA Members may also receive the Dining Discounts at restaurants at the Disneyland Resort and surrounding area. These change and you should check directly with the restaurant. Senior – Discounts are offered for Seniors 60 and over on room only reservations subject to availability. These seem to be a bit more difficult to get so it’s important that you book early. You will require a valid ID at check-in to receive this discount. Annual Pass (AP) - Availability of these discounts on room only reservations seem to be better than most. Disneyland will require your Annual Pass ID number at the time of booking so you must have the AP prior to making your reservation. California Resident Discounts - Discounts are offered for California Residents on room only reservations subject to availability. These discounts can include only specific zip codes in California. Southern California City Pass - If your plans include multiple California attractions, this may be the ticket for you and does not require booking a Disneyland package to purchase this ticket. The ‘Southern California City Pass’ gives you admission to multiple entertainment venues for one price. Advance Tickets – Sometimes, you can save money on multi-day Disneyland tickets by purchasing your tickets in advance at www.disneyland.com . 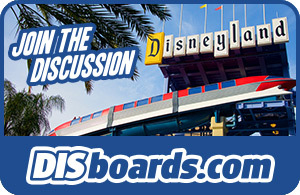 Also during value season, the Disneyland Resort may offer other discounts. Hotel Rewards Programs - Some Hotel Rewards programs offer discounted Disneyland tickets, check with them directly to see if they are offered. Disney Vacation Club - Disney Vacation Club members are offered a one time discount on a Disneyland Annual Pass. Check with DVC Member Services for more information on this discount. Disneyland offers special discounts on select Disneyland Resort hotels to active and retired U.S. military personnel. Disneyland also offers $178 3-Day Park Hoppers (limit 6) OR $198 4-Day Park Hopper for active and retired U.S. military personnel or their spouse. The 2019 offer begins 11/01/18 and expires 12/18/19. Call (714) 956-6425 or contact a participating U.S. military base office to take advantage of these offers. Blockout days apply: 04/14/19 to 04/22/19. Tickets must be used by 12/21/19. Peak Season typically centers around holidays. Spring Break, Thanksgiving, Christmas and New Years, plus the first three weeks of August and all of July. Regular Season is typically the rest of March & April not included in Peak season, all of May and June, plus the last week of August, all of September and the first week of October. Value Season is typically January and February, plus the last three weeks of October and the first three weeks of both November and December.